Today is a good day! After quite a few days of discussion we finally had the green light to put online some incredibly high quality videos of the Gamescom build of DriveClub. The videos are already up on youtube, but the quality difference makes it look like an almost completely different game! Two videos are already online, with 2 more to come later tonight. Rushy of Evolution Studios mentioned on NeoGAF that the latest builds of the game are using an anti-aliasing solution, contrary to the Gamescom build shown in these videos where there is no anti-aliasing at all. So the jaggies seen here should be a thing of the past when you get to play this game at launch! Update 2: As promised, the last video is now online. Enjoy! That out of car view makes the car look stretched, or is the car just stretched by default? I'm not getting a WOW factor from this. It looks nice but lacks polish, I feel as a racing game the performance of the game is a determining factor. i dont know if its the framerate but this just doesnt look smooth at all. very choppy at times. anyhow, the game doesnt look bad from a graphics point of view, but it certainly doesnt have that wow factor i was hoping for, but it looking more and more like the start of this gen might be a slow start in terms of great looking games. i dont have very high hopes for this replacing my sim fix like forza or gta but at this point this doesnt even look like a decent replacement for project gotham, not based on any videos i have seen so far. FINALLY some direct feed footage. lighting looks great. but it's still not wowing me. non of these racers are. either diminished returns really is a thing in regards to racers. or evo and turn 10 just arn't pulling their finger out. Thanks guys was well worth the wait. I do not understand why there aren't more companies (PR) around that use high quality sources to display all the hard work the devs have done, so BIG thx Blim & Rushy!! I think Turn 10 have been right to focus on 60fps, because that is the real difference between these two racers. Graphically DriveClub looks better, but the graphical difference is not enough to justify not heading towards a 60fps target which Forza reaches and comes out looking better. Forza is also 1080p 60fps and 24 players online with dedicated servers. I'm not getting either of these, I'm a PGR man myself, but if I had to choose a playthrough to watch between the two? It'd be Forza. if you're picking up a PS4, and plan to play online. it's free day 1. that's the only great thing about driveclub atm. whether it ends up 60fps or stays 30fps, whether it gets the added polish it could do with or not. it's irrelivant for me. free's free baby. i'll be giving my money to NFS rivals since it looks to most FUN to play while also looking stunning. forza has waaayyyyy better car models than this game plus forza does not have all the jaggies this game has PLUS forza is locked at 60fps like always so i am not worried at all about forza being a fantastic game. with the best AI in the console market forza will be great but i dont think that one game will be enough for me to get the xb1 until more exclusives come out like titanfall, halo, etc. driveclub just looks rushed in so many ways. it seems like it will be like the first motorstorm, a fun game but one that seems unfinished in a lot of ways. is the full game free or just a half assed version of the game? yea! did you play motorstorm 1? It had better lighting, better physics, awesome motion blur and great mud tracks. this game looks like Ridge Racer V.
Free is free except when it's Xbox and the games are about 5 years old, then the internet has a meltdown about free games. Most people find a free copy of Magic the Gathering insulting. I'll only jump into next-gen racing when PGR5 is announced, just the mayhem of bikes cars and trying to get Kudos points is thrilling. I hope they do a "Kudos only" mode where you race to get high points. That'd stop madmen from picking all the supercars and actually give reasons for the bike to take part. 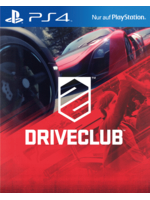 Does anyone know how many players online DriveClub is? people keep saying this game looks better than Forza 5 and I am not seeing this. The lighting looks flat compared to the lighting in Planetside 2 or Forza 5 (even though the lighting there is pre baked - whatever that means). people keep saying this game looks better than Forza 5 and I am not seeing this. Yeah, the environment is all this game kind of has going for it, referencing my earlier point of it looking better graphically than Forza was in conjunction with the pleasing to the eye trees whizzing past at 250km per hour. Forza 5 is forza4 with higher rez and higher quality assets. It still has cartoon type lighting, arcade feel as it's not a sim. FORZA5 is more baked then a potato. Has been in production before Forza4 was released. 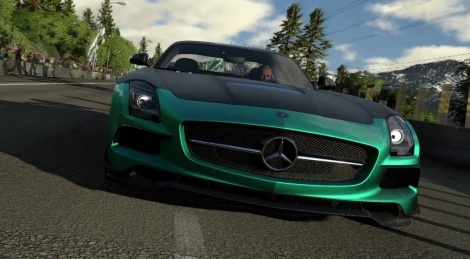 Driveclub is an arcade racer for everyone. People who like forza like cartoon type graphics, like halo, etc. some cars and some tracks arn't in there. but you can get platinum trophy. it's not full version, but it's not bare bones like killer instinct. @Tiz. tbh, when a game is as old as RS vegas, it is pretty insulting...even though it is free. and it's theoretically thousands online seeing as it's got SSX's ghost system. but on track. it's 12 cars. The funny thing is about this game is that, everyone has been told "Wait for the devs, they need more time" that seems to be the resounding battle cry in DriveClubs defence. One (haha) has to wonder if the shoe was on the other foot, would people have mercilessly put Forza to the sword touting its doom? Or given it the same leeway as Drive Club? One (haha) has to wonder if the shoe was on the other foot, would people have mercilessly put Forza to the sword touting its doom? i think both need a lot of work. driveclub has better car models and lighting going for it. but forza has taken the smarter, although just as uninpressive approach by going for performance. i just don't see anything between both of these racers that require a need for next gen. you've got driveclub at 30fps with a lack of polish and horrible aliasing. then you've got forza which is stylistically horrible, STILL has pre-baked lighting and looks like races take place moments before the earth collides with the sun. the good thing is, depending on which bundle you go for with the day 1 edition of the xbone...they're both free. it's just a shame there isn't anything super impressive at launch. maybe project cars will do the job?